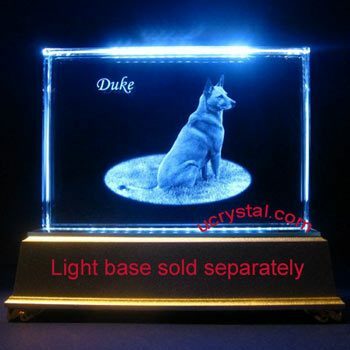 5-1/8" x 8-5/8" x 3/4"
Rectangular, beveled edge, corner-cut, extra large personalized photo crystal gifts. 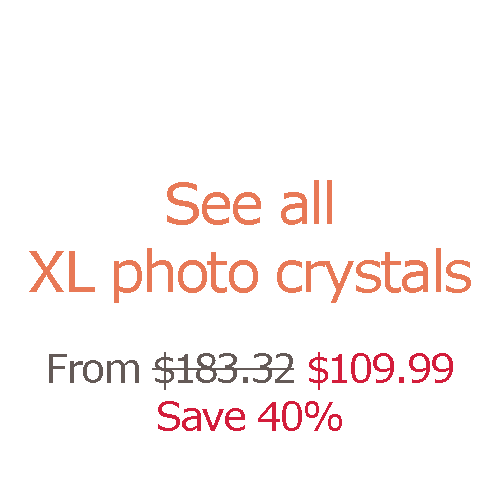 This extra large photo crystal features a rectangular shape, beveled edges, and polished corners. 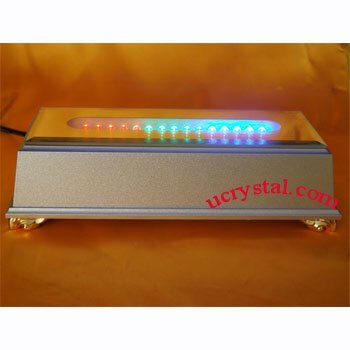 The crystal has a firmly attached crystal base, which is inseparable from the main piece. 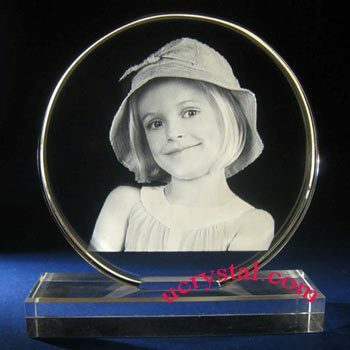 Because it is only 3 quarters of an inch thick, we do not recommend 3D photo crystal engraving. 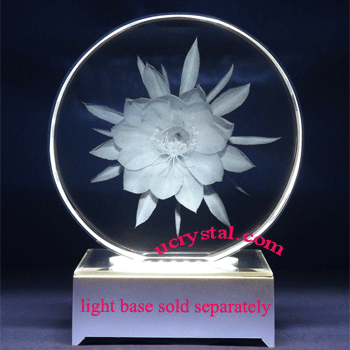 It is a more suitable as a laser crystal for 2D custom photo crystal engraving. 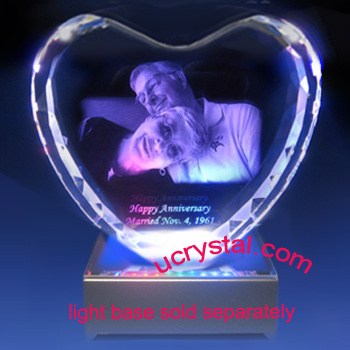 This extra large personalized photo crystal is a unique gift that gives people memorable moments to last a lifetime. 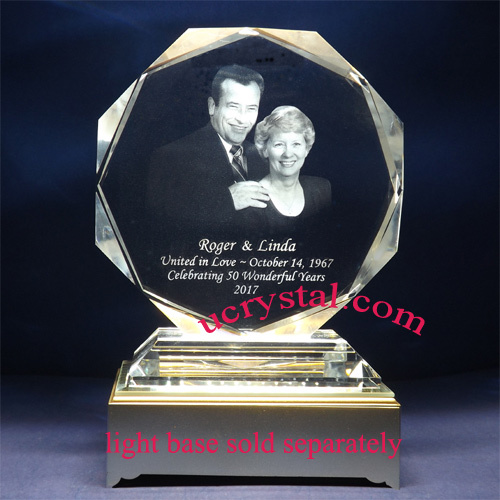 They are great custom photo crystal engraved gifts for Christmas, birthdays, and wedding anniversaries. 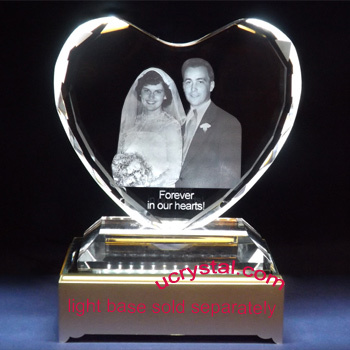 These personalized laser engraved photo crystal gifts are also perfect for school graduation, retirement, and many other occasions. 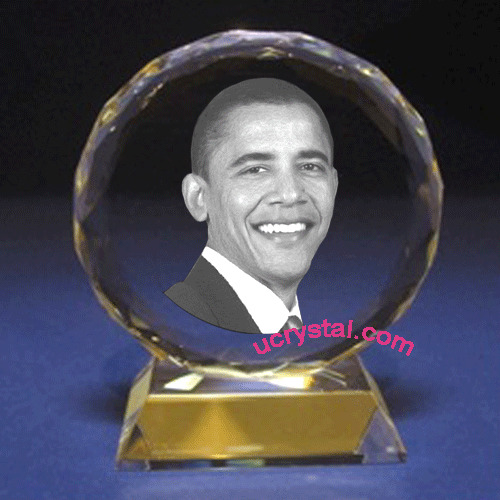 This is a very popular crystal for corporate executive awards. 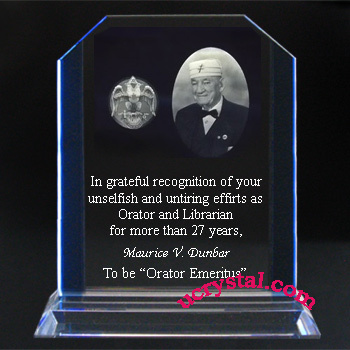 The two displayed engraved examples on the left are both used as engraved crystal plaques. 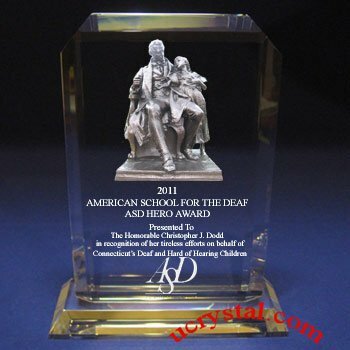 One is used by our regular customer from the American School for the Deaf. The other was ordered by American Civil Liberty Union. We are honored to be able to provide services to these top institutions. Extra large, Rectangular, bevel edge, corner-cut with base. 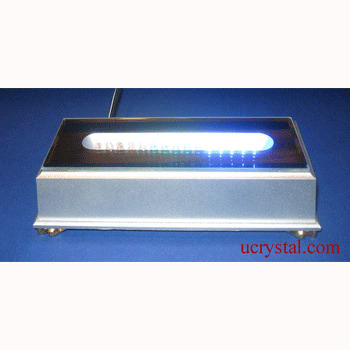 Size: 5-1/8 width x 8-5/8" height x 3/4” thickness (height includes base).